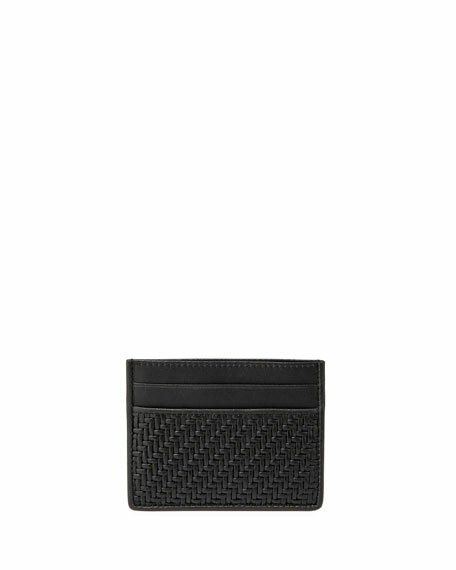 Tom Ford full-grain Tegu lizard-skin card case. Two notched card slots on each side, one center slot. For in-store inquiries, use sku #1699711. Chloe smooth leather card case with striped logo front feature. Zip top closure with alphabet charm. 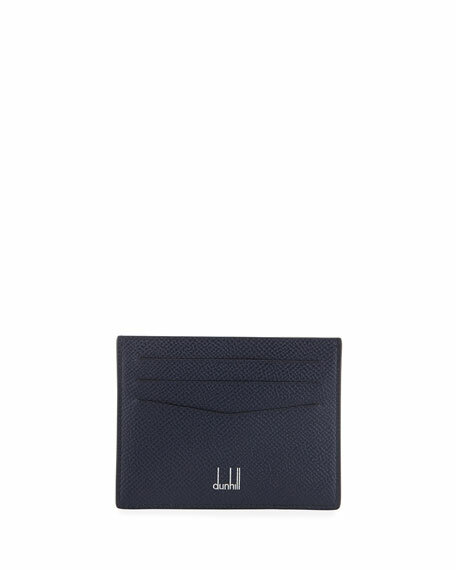 Exterior, one slip pocket; four card slots. 6" W x 3.5" H. Made in Spain. 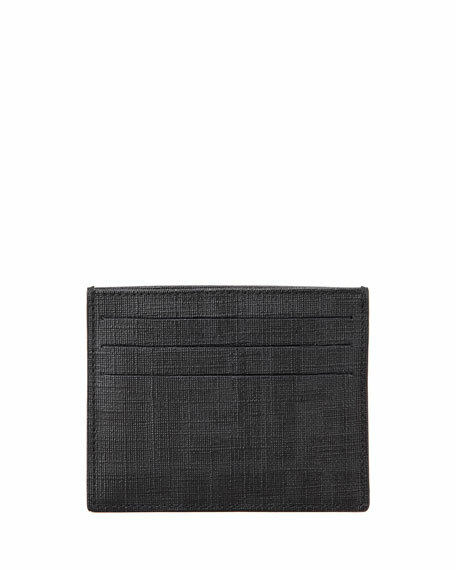 Ermenegildo Zegna card case in hand-burnished lambskin leather. Signature Pelle Tessuta weaving. Four card slots. Central pocket. Embossed logo. 3"H x 3.8"W. Made in Italy. Fendi signature Zucca saffiano leather. Three card slots. Interior pocket. Approx. 3 1/4"H x 4 1/2"W. Made in Italy.